On 17 February, UNU-IAS, together with the Global Environmental Outreach Centre (GEOC), organized the Workshop on Best Practices of Local Community Projects. 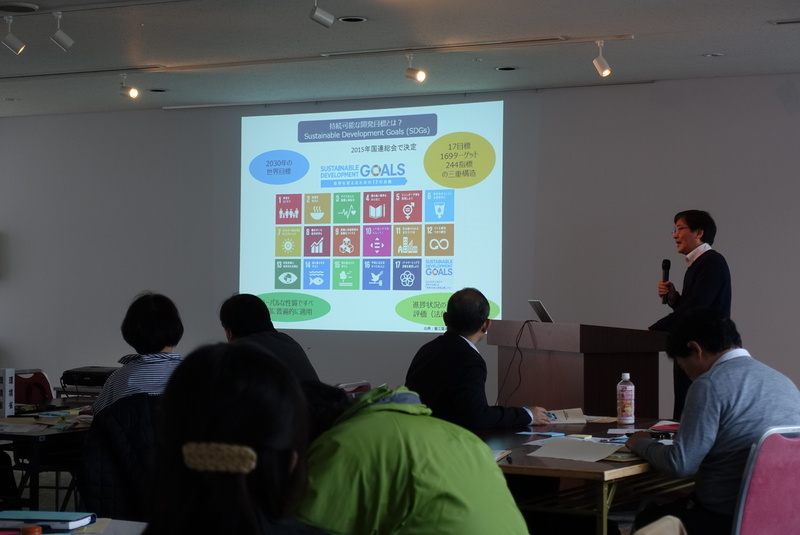 From Hokkaido to Okinawa, eight different local organizations presented examples of local community issues solved through multi-stakeholder partnerships. The workshop also included a presentation by Senior Programme Coordinator Tsunao Watanabe. He presented background on the Sustainable Development Goals and introduced the case of conservation of the Japanese crested ibis on Sado Island as a cross-sectoral model that spans agriculture, forestry, fisheries, and tourism. The workshop concluded with a poster session and group work to exchange opinions and best practices in order to advance such activities in the future.